Employ end-to-end e-vehicle services (include design, leasing, operation, and maintenance of the vehicles and charging stations). 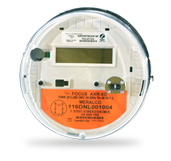 Ensure the compatibility of any new and/or existing solar installations to be connected to the grid. Consider the various factors that affect the efficiency of solar cells (such as weather, condition, time of day, angle of installation, panel condition, panel materials and interconnection to the grid) to guarantee safety and reliability. Avail of connectivity services on a pure fiber optic infrastructure within the Mega Manila area. This enables service providers and businesses to transmit digital information on a secure information superhighway.